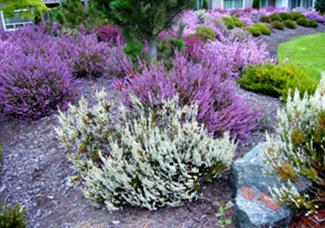 A peaceful community nestled in a beautiful garden landscape. EASY... a few clicks and your fees are paid. DECOA is committed to keeping YOU informed! Safety and structure to avoid misunderstandings & disputes. 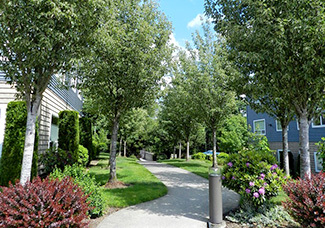 The Darby Estates Condominiums are Bellingham’s largest garden-style condominium’s. 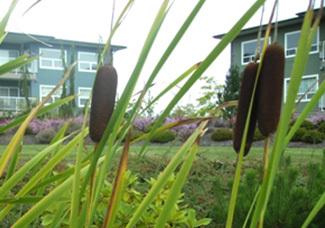 Five, three story buildings have been thoughtfully arranged on 13 plus acres of land with mature landscaping and paths, creating a tranquil environment. The community consists of 228 condo units ranging in size from one to three bedrooms, with ample parking and storage available for each owner. A centrally-located commons, contains exercise and hospitality opportunities for both individuals and groups. The newly remodeled club house provides an update-to-date gym and luxurious space for entertaining, as well as convenient and ample guest parking. Darby is close to shopping, restaurants and the community college. 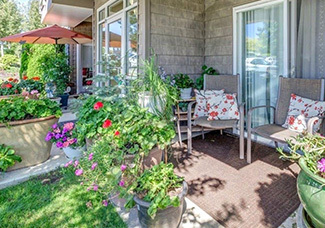 It is within walking distance of the new Bakerview Square shopping center, the Bellis Fair mall, the Cordata bus station, the new Community Food Co-op and is conveniently located to the Cordata business and medical park. Come experience the uniqueness of Darby Estates and feel the sense of community and neighborhood pride. © 2019 Darby Estates Condominiums | All rights reserved.